Mottistone Manor features a garden noted for its colourful herbaceous borders, grassy terraces planted with fruit trees and sea views. 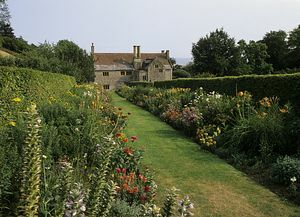 The 16th and 17th-century manor house is tenanted. The house and garden lie at the heart of the Mottistone Estate, which offers delightful walks between the Downs and the coast. 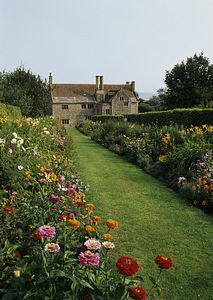 This property is owned by The National Trust. On Foot: 1ml N of coastal path; 1ml S of Tennyson Trail. Cycle: NCN67. On the 'Round the Island' cycle route. Ferry: Yarmouth (Wightlink Ltd) 6ml (tel. 0870 582 7744); E Cowes (Red Funnel) 12ml (tel. 0870 444 8898). By Bus: Southern Vectis/WightBus 7B Newport-Totland. By Road: At Mottistone, 2ml W of Brighstone on B3399.